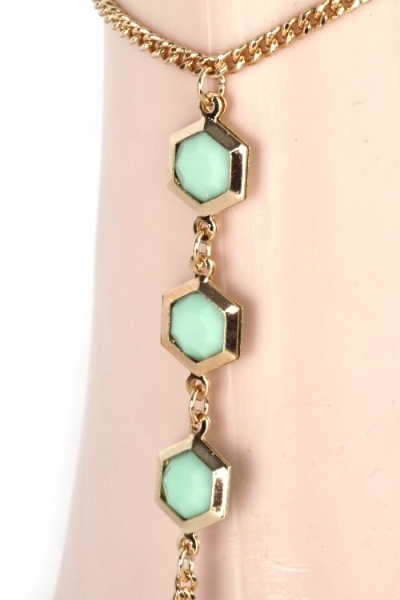 Description: An anklet featuring hexagon stones on gold settings with toe loop. Approx. ankle chain length 10" with additional 2" extender. Imported.